The sun was well behind the mountain, the terrain was steep all around, and the horses were reveling in their youth and freedom. I was glad I was there to see it. 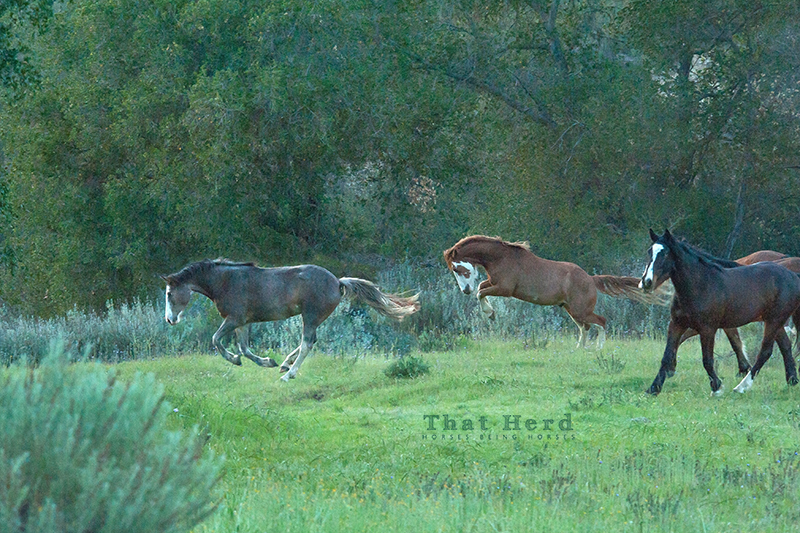 As night sets in, these young horses leap and buck and disappear into the brush.